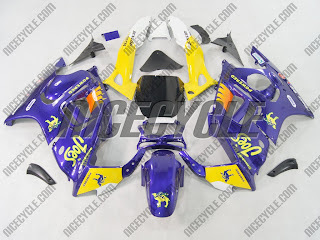 Motorcycle Fairing - Motorbike Fairing - CBR - GSXR Fairings | NiceCycle.com: $100 OFF All NiceCycle Motorcycle Fairings! $100 OFF All NiceCycle Motorcycle Fairings! Just in! NiceCycle is offering $100 off any set of our bodywork from now until 12/31/12 - this is our annual holiday sale! Happens once a year! Take advantage today! USE COUPON CODE: X100 during checkout, or give us a call! This applies to all of our motorcycle fairings! NiceCycle Motorcycle Fairings - Team Riders!